This week felt like a vacation, since I had family visiting! Nevertheless, I'm pumped that the weekend is here! Once again, it's Book Club Friday and I am more than ready for a girl's night! The rest of the weekend will bring plenty of yard & house work (our mudroom makeover is almost done!) and a little trip to the new aquarium! I might even try to sneak in a pedicure... These are things that weekends are made of now! Now let's get to my five... As always, thanks to all the lovely hosts: Christina, Darci, April, & Natasha! My mom & I did a little shopping this week, and I really cleaned up! 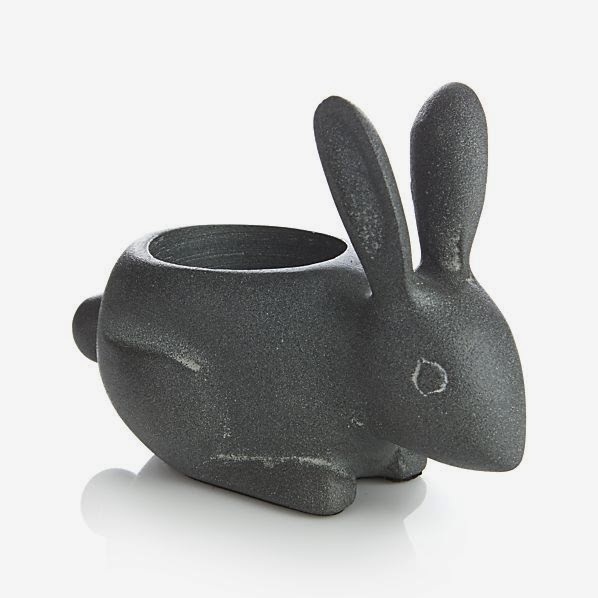 One of my favorite purchases was three of these bunny tea light holders from Crate & Barrel! They are even more adorable in person and are the perfect new addition to my Easter decor! To keep with the shopping theme, I also snatched up this chambray dress from Banana Republic! I am loving chambray for this spring and the fact that it is nursing friendly made it a must have! Shirt dresses have become my new favorite just for that reason! 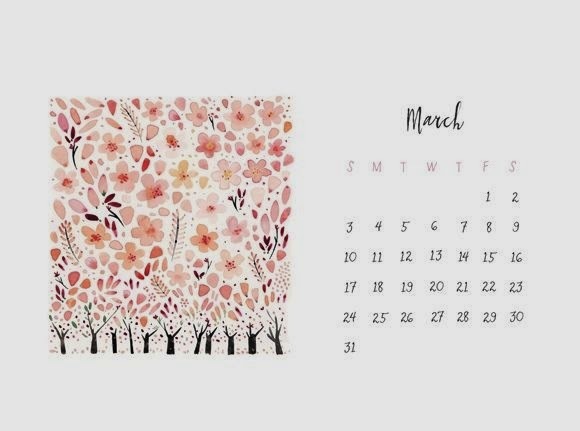 You all know how much I love a festive desktop wallpaper, so here's what I have for March! So lately I have been hearing a lot of talk about Good Reads. I love to read (I make it through about 2 books a month) and am always looking for recommendations from others. I feel like I'm missing out on something by not joining in on the Good Reads fun, but do I really need another type of social media (if you can call it that)? Thoughts? Hope you all get out and enjoy some Spring weather! 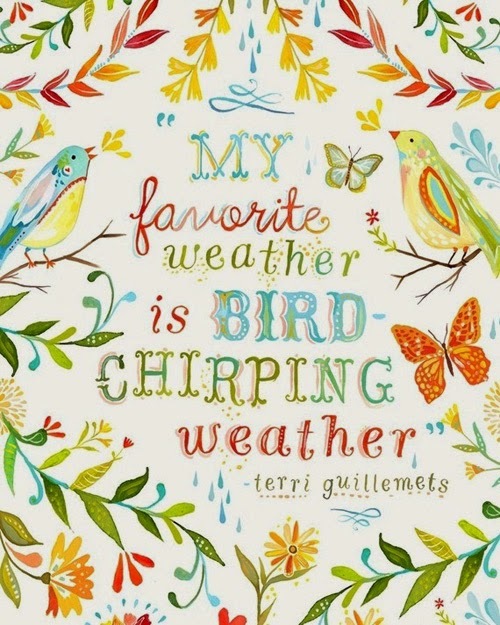 bird chirping weather is definitely the BEST!!! Happy Friday from the Linkup and glad to be a new follower!! I know, I just love that quote! Welcome to our little corner! I love Banana Republic AND Crate & Barrel- how fun!! Your Mama sounds absolutely fabulous! :) Hope yall have a great weekend! Cute dress and desktop wallpaper! Have a great weekend! I love Goodreads...they have a section in which you can ask the "community" for recommendations. I don't use it all the time, but it's a great resource. What book is your book club discussing tonight? Love that Chambray dress too!! I love everything you talked about! Those tea lights are adorable, what is it about bunny shaped objects that makes me instantly fall in love? I joined Good Reads a couple of weeks ago, but I mainly use it as an ongoing list of books that I want to read. One of my good friends is a librarian so I kind of stalk her page to see what she recommends. Because everything bunny is just too adorable to pass up! I have a long "to read" list going right now, so I won't need any recommendations for awhile. I might have to check out Good Reads eventually though. That dress with those yellow flats is so cute, you should totally get that outfit :) happy weekend! I love Goodreads, which I haven't checked it out in a few months. I really want to get back to reading, I love a good book!